Simon McCarroll, talks to us about the new McCarroll Maserati dealership on the North Shore. 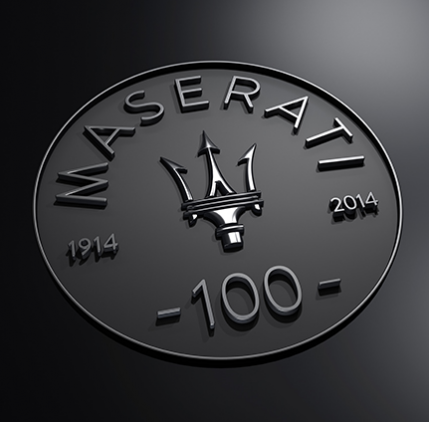 Officine Alfieri Maserati was founded on 1 December 1914 in Bologna, Italy. Exactly one hundred years later, McCarroll Automotive Group opened the McCarroll Maserati showroom at 403 Pacific Highway in Artarmon. 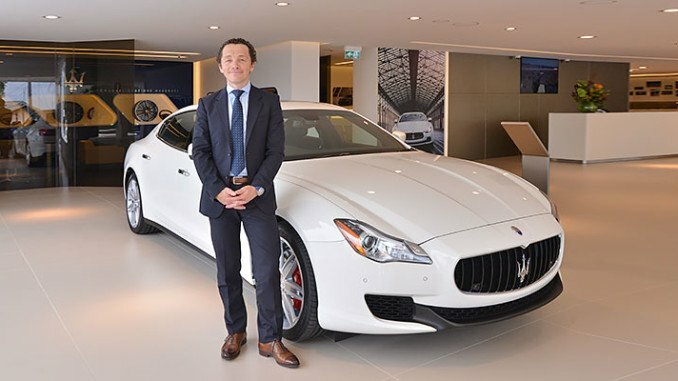 Simon McCarroll is a Director of the McCarroll Automotive Group and here we interview him about this bold new move in to the Maserati brand. Where did McCarroll’s come from? Where did it all start? McCarroll’s started in 1978 in Cooma. My parents took a 30% interest in a Ford Dealership in Cooma. To do that, they left their corporate roles in Canberra, deciding to do something a little entrepreneurial by taking a stake in this business in Cooma. 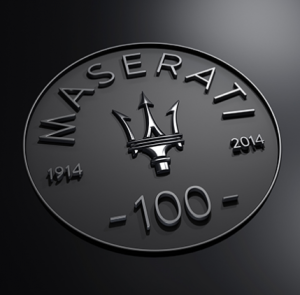 Maserati, celebrating 100 years of automtive excellence. Ford quickly took a shine to them as they turned around an under-performing dealership in Cooma and so Ford asked if they would consider moving to Mudgee to undertake a similar situation. Their partner in Cooma decided to stay put and so they moved on to Mudgee, where they turned that business around. Ford then said they had another dealership that needed work in Camden and would they consider moving their family from Mudgee to Camden. They had a goal to get to Sydney by the time my brother and myself were about to go school, so they sold the Mudgee dealership to an uncle who still owns the business today and moved to Camden. From Camden, we set up some dealerships in the Greater Southwest of Sydney over a period of 16 or 17 years from 1984 to 2001. In 1989 one of the Senior Managers at Ford left that business to join Toyota and was looking for people to run Toyota Dealerships to compete against Ford and Holden who, at that stage, were very strong and dominant (in the market). This chap had seen my father and mother progress through the Ford ranks. Toyota had a dealership in Waitara where the Dealer Principle wanted to retire and that was the first step for us in to the North Shore. From there, we obtained the first Lexus Dealership in Australia 1990. We then divested ourselves of the businesses in Southwest Sydney in 2000 so that we could really focus on the North Shore. Why do you believe McCarroll’s have been so successful? There are a couple of things; we hire people based on cultural-fit, much more than if they have performed a role before. We have been very fortunate and had a great team over our time. We have been lucky to attract really good people. Really good people tend to deliver good experiences to our customers. Also, the communities in which we work we try to play an active role. So we have always had really good support from the areas where we operate. And we are quite systemised in the way we approach things. We are very disciplined in the way try to deliver an experience. We don’t always get it right, but we have this belief that if you treat people the way you like to be treated, you will generally get a good outcome. A quick internet search shows that McCarroll’s represent a number of different automotive brands in Sydney and Newcastle including marques such as Fiat, Volvo, Volkswagen and Lexus. How does Maserati fit in to that group of brands? Maserati is very different. From the broader group’s point of view, we now represent 13 brands and Maserati sits with Lexus at the premium end of our brand spectrum. The thing that is exciting about taking on Maserati is that it enables us to focus more closely on relationships. Maserati is a smaller volume brand to work with, which makes us focus on process and experience. Maserati is the pinnacle of our experiential thinking and we want to use that knowledge within the rest of the McCarroll group. Maserati is a space where we can be very personal with the relationship that we have with the customer. With Maserati, we might see ten or fifteen customers in a week, whereas some of our bigger volume brands we might see forty or fifty customers in a day. So it’s a very different brand to the ones we have worked with in the past, but we think it is something that will be the right place for us to be. Maserati have always been a prestigious, but minor brand in Australia. What is the thinking about such a bold and beautiful showroom in the heart of the North Shore? Maserati has a vision of where they want to be in terms of volume and how they want to interact with customers. In order to deliver that vision, they need to have the right footprint in place. For Sydney, Maserati see that footprint as two dealerships; one in the city and one here on the North Shore. We have been fortunate enough to represent the brand on the North Shore. Maserati want to take their brand to 50 to 75,000 units per annum and we’re to help them. 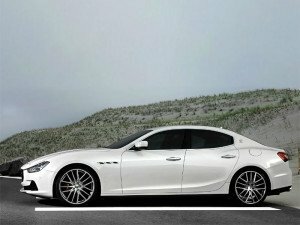 For example, the Ghibli is the first car for Maserati that is competing in that space and Maserati are placing a big investment in to other product that is going to be released as well. What you will see over the next few years in the roll-out of two additional models targeted at points where the brand has not been before. 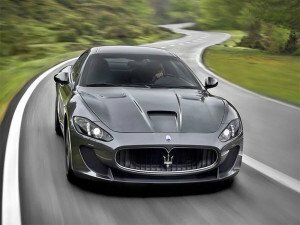 They will be slightly more accessible than the Quattroporte or the Granturismo, yet still maintaining everything that is “Maserati” about them. Maserati in Australia will always see themselves as a smaller, more exclusive brand. They do not see themselves taking on the volume of Mercedes or BMW. This year, Mercedes Benz is on-track to be a top ten (volume) brand in Australia; they are line-ball currently with Honda. Maserati do not have the low-end infrastructure, nor the models in the space to have that volume, so they are very specific where they wish to be and the type of clients that they wish to work with. What time of person buys a Maserati? Is there a typical customer? I think that kind of person is shifting a little. You have the true Maserati aficionados; the kind of people that have experienced the brand over a long period of time and really enjoy the product and you’ve got new people that have been introduced to the product, particularly the newer models coming in to the range. Typically, our customer is someone that appreciates design, is looking for something that is maybe a little bit different, wants something that is more personal than they experienced previously, enjoys performance and maybe has an appreciation for all things Italian. They are looking for something a little bit different. It’s only very early for us, but the customers that we have dealt with so far have all been great to work with. They are looking for a vehicle that has a personality, but that personality is not overpowering like maybe a Lamborghini might be or some of those other brands. A Maserati is a vehicle where you can see the style, hear the sound and you appreciate the brand. Buying a Maserati is presumably more complex than simply selecting the vehicle and choosing from a swatch of eight paint colours. How do go about specifying a vehicle? It depends. We have a number of vehicles that we have ordered. Therefore we do have vehicles where a customer can take delivery almost immediately. However, should a customer come in and want something specific, they would personalise a vehicle to their choice; they would choose the engine they would like, the specification and options. They could specify the leather, the stitching, the sound system, the brakes, etc. We would help them through that process in our showroom where we have leather samples, carpet samples, trim and paint samples, etc. so that they can fully visualise their vehicle and then we would place the order for them with the Maserati factory. The factory then goes in to the process of producing the car. And how long does the process take from placing an order to delivery of the vehicle? If you were to personalise a vehicle, delivery is anywhere between four and six months. And what about used Maserati vehicles? Handling used Maserati’s is one of the things we definitely need to do as a business to support the brand. We will have used Maserati’s in the showroom in a specific area. We will have a range of used Quattroporte and Granturismo to begin with. Will you be offering service and support options for existing owners of Maserati vehicles? Absolutely. 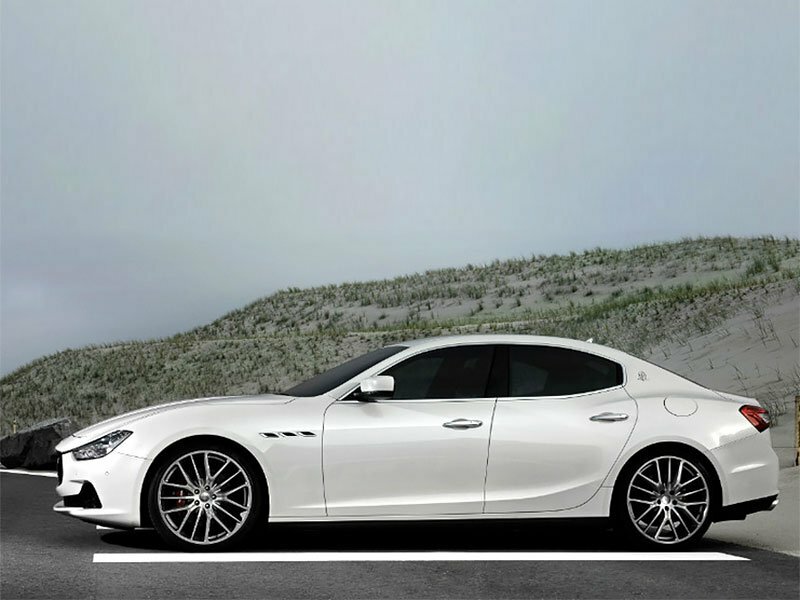 All that anyone who has an existing Maserati needs to do is give us a call and we can take care of their vehicle. We have a new dedicated service centre that we are working on. We are currently working with Willoughby Council and Maserati head office, and we will have the facility open next year. Working with the Italians, it will be every inch Maserati by the time it is complete, but at the moment we have a temporary process established, where we have all the diagnostic tools required and a master-trained technician on Maserati product and we can service a Maserati immediately. What do you believe will be the most popular vehicle in the Maserati range? Why? It depends on your definition of popular. From a visual point of view, everybody looks at the Granturismo and says “it’s beautiful; it’s the epitome of all things Maserati”. I think from a sale point of view, the Ghibli will be the most volume for us, based on where it sits in the market. Do you drive a Maserati yourself? If you were to choose one for the weekend, which one would it be? I would take the Grigio Lava MC Stradale. It’s a special track version of the Granturismo that they have put together, so the transmission has been tweaked to create the right performance and it’s an amazing piece of work. Thank you for your time, Simon.